Come on out and meet your neighbors tomorrow! 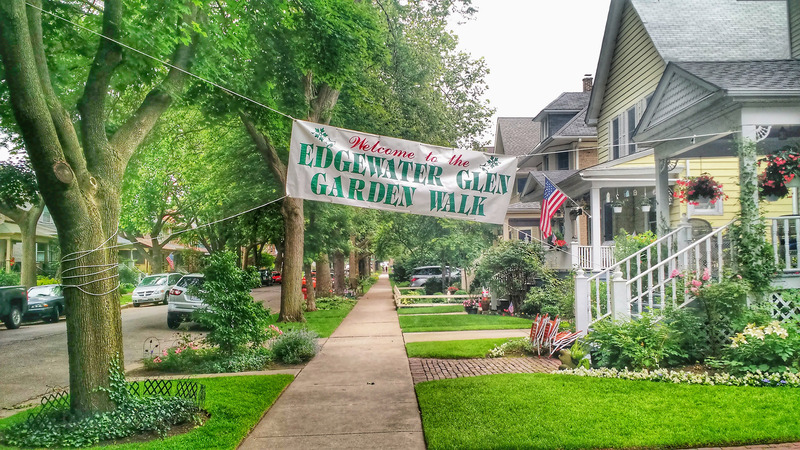 “The EGA Annual Garden Walk will be held Sunday July 12th from noon until 5pm, featuring gardens in the 1200 & 1300 blocks. The starting point is at 1420 W. Glenlake with a fee of $5 per adult & children free. Admission includes a raffle ticket to win Gethsemane gift certificates. It’s also a chance for Edgewater Glen residents to vote for EGA Officers and renew EGA membership. Previous PostThen & Now: Edgewater Glen in the 1920’sNext PostWhich Chicago Neighborhoods are People Moving to Edgewater From?